Arches have many forms such as a the Roman arch or clover arch. An arch works primarily in compression, and handles compressive loads, not tensile loads. An example of a compressive load is a 100-pound block sitting on top of a column, compressing the column. An example of a tensile load would be a 100-pound block tied to a steel rope and the other end tied to a branch of a tree, making the rope taught. Using the arch structurally has many advantages relating to the distance it can span, the loads it can carry, and also the materiality and form of the arch itself. Overall, there is a lot of flexibility when designing an arch structure that allows the architect or engineer to design more freely. 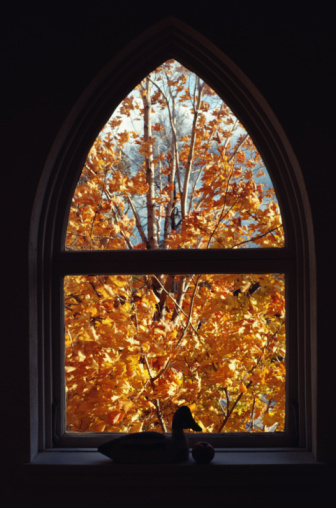 The Gothic arch was first used in early Gothic Catholic churches and cathedrals. Using an arch as the primary structure when there is a need for spanning a long distance is highly beneficial. An arch can span further (between two points of vertical support) than a straight beam. This is due to the way an arch handles the forces, or vectors. Due to this phenomenon, an arch can handle more loads than a straight horizontal member. For example, you would want to use an arch to be the primary structural member of a bridge spanning a large canyon as opposed to a straight, flat roadbed. Since an arch can span further than a flat member, this reduces the need for additional vertical support and thus cuts down on costs when building. An arch works excellently in compression. A structural arch can carry much more load than a flat beam or plank. The forces exerted by an arch are tangential to the ends of the arch, and are called thrust. Thus, a flatter arch will create more force or thrust that is transferred to the ground safely. Overall, an arch will handle compressive loads better than a straight structural member because of the way it safely transfers the loads applied to it more efficiently to the ground. For example, if you had two identical planks of wood and formed one into an arch, the flat plank would break into pieces long before the arch form when identical loads were applied to both. 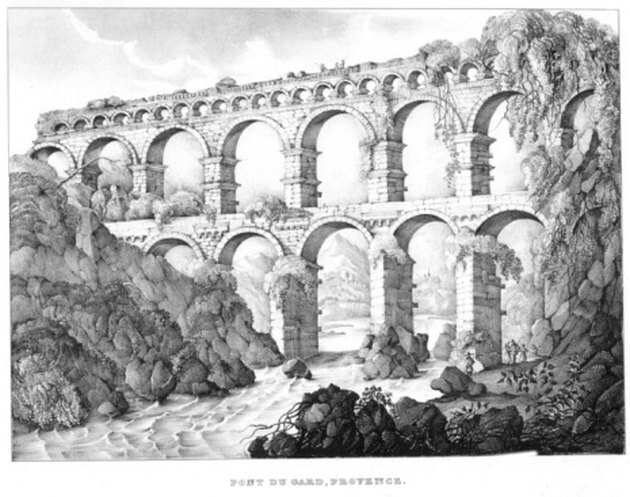 Ancient Roman aqueducts are an example of masonry arches. Since the arch form is so effective at spanning and carrying loads, a variety of materials and forms can be used to construct an arch. This gives the designer a lot of flexibility when it comes to the aesthetic properties of the structure. If the engineer wishes to create a light, thin arch, he might use a trussed arch. A trussed arch is an arch that is comprised of many smaller and thinner members as opposed to one heavy, solid mass. As far as materials are concerned, the designer can choose from virtually all of the primary building materials which are wood, steel, concrete and masonry. All of these materials handle compressive loads very well. 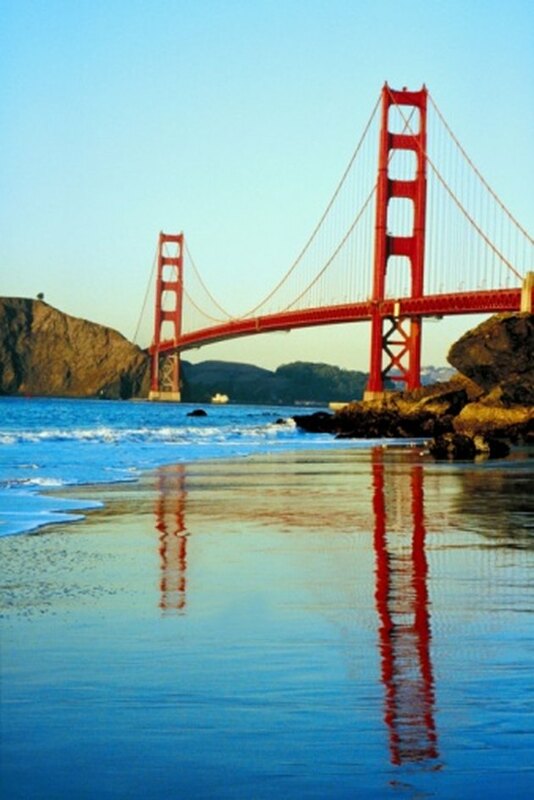 The Golden Gate Bridge uses an inverted arch to hang a roadbed. Arches have a variety of different uses. On a small scale, arches work very well at holding up the roof structure of a house. On a much larger scale, arches can be used to make a bridge across a wide river. Arches can also be used in the "U" orientation (look at the caption of the Roman arch above and flip it upside down) to hang other members from. An example of this is a suspension bridge like the Golden Gate Bridge in San Francisco. Unlike a straight member, an arch can provide support and also be passed through which allows the architect with more options for creating openings in a building. Christian Hollendonner is currently an architecture major at Roger Williams University. Hollendonner tutors high-school and college students in writing and SAT writing preparation. He has been writing for over eight years and has been recognized for poetry and other works in the Stamford Literary Competition.